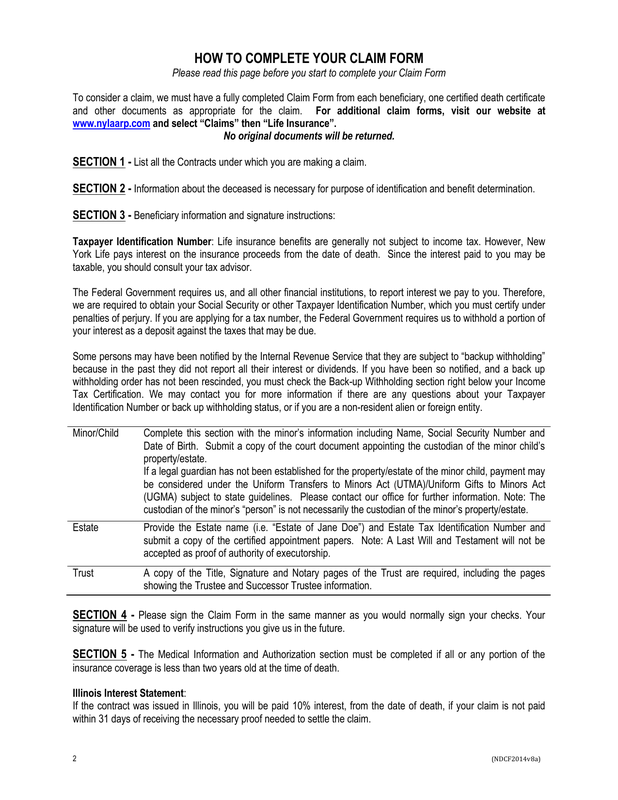 Download the AARP Life Insurance Claim Form that is designed to provide a beneficiary the tools to collect a death benefit left in their name at the time of death of a spouse, child or whomever may have left a life insurance benefit in their name. This packet will offer all of the information needed in order to make claim on the policy. The first three pages of this packet will have full explanation of how to complete the processes, no matter what the age of the beneficiary (ies). Take the time to sit with these pages and read them, read the answers to the FAQ’s. Be certain to read them carefully especially if you are making a claim for a minor child. Be certain to collect all supporting documentation keeping in mind that no originals will be returned. Also, each beneficiary must provide a death certificate on their own. In the case that the claim will go into a trust, pay specific attention to needed documentation and acquire it so that the funds will be properly transferred.